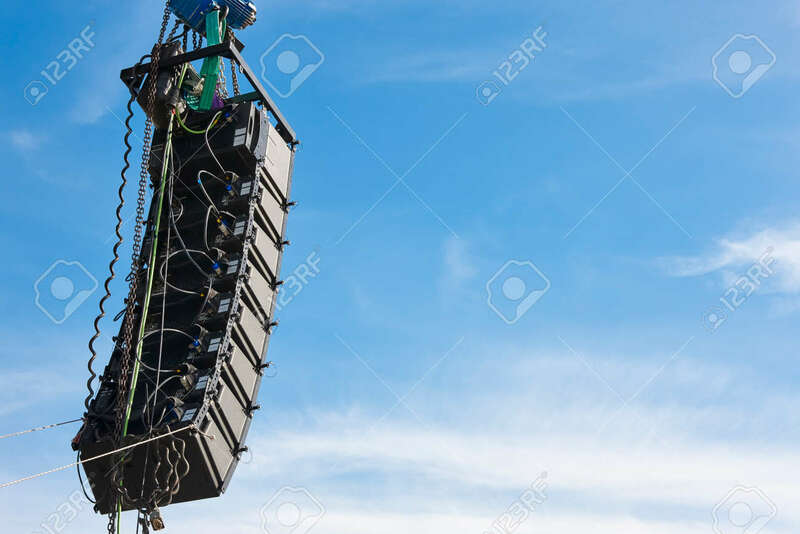 Stadium Speakers Rack Over A Blue Sky. Live Music Background... Stock Photo, Picture And Royalty Free Image. Image 78492205.